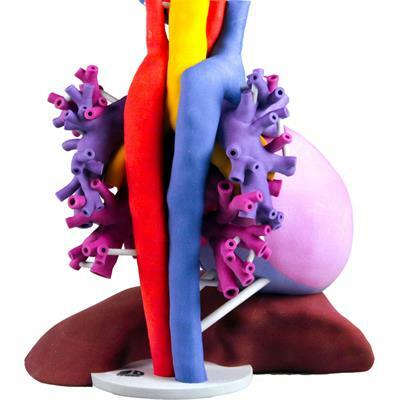 3D printing technology firm Stratasys unveiled BioMimics, a service that 3D prints realistic, functionally accurate replicas of complex anatomical structures. 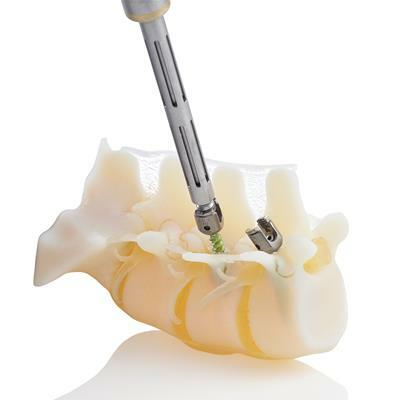 True-to-life anatomical structures: A pedicle screw driven into a 3D-printed model of a patient's spine. Image courtesy of Stratasys. BioMimics is being offered initially in North America as a service through Stratasys Direct Manufacturing. It eliminates restrictions associated with training, research, and testing on animal, mannequin, or cadaver models, Stratasys said. 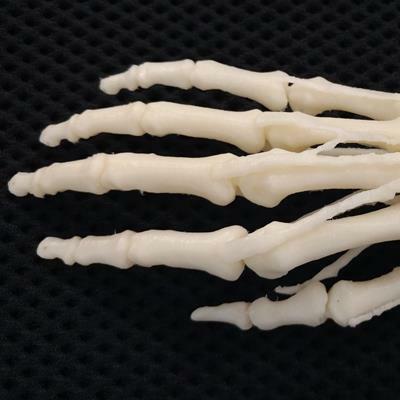 BioMimics mirrors the soft tissue and hard bones via multimaterial 3D printing combining Stratasys' PolyJet 3D printing technology alongside new materials and software. Also, OEMs can gain real-time feedback on device performance in realistic environments, according to the firm. BioMimics is initially designed to model the complexities of heart and bone structures -- with vascular anatomies expected in early 2018. Stratasys is demonstrating BioMimics at the RSNA 2017 meeting in Chicago. 3D printing technology firm Stratasys is building a collaborative 3D printing hospital network for the U.S. Department of Veterans Affairs (VA). 3D printing technology developer Stratasys announced new industry collaborations at RSNA 2016 in Chicago.